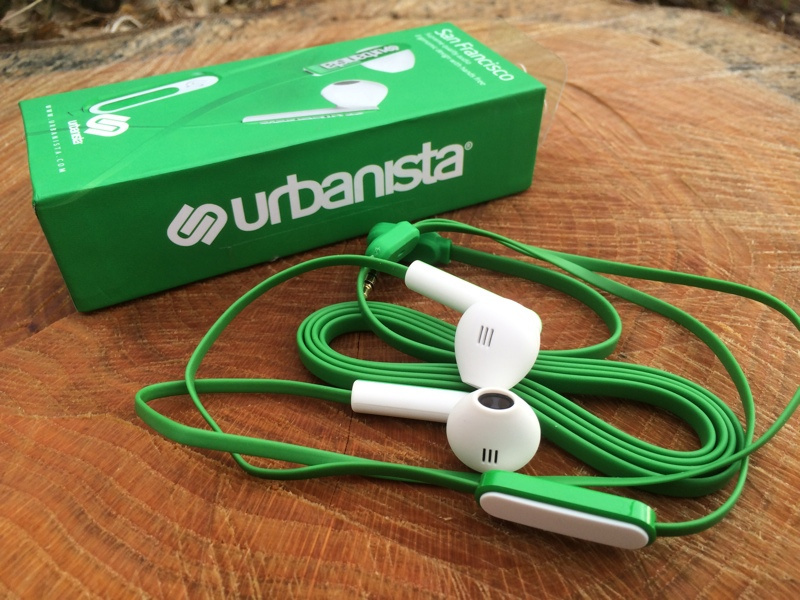 In this review we look at the San Francisco from Urbanista headphones and see if a set of £20 headphones can be any good and would they be ok as a potential replacement or alternative to the Apple Earbuds. Headphones which have come my way have been incredibly hit and miss. Take the Denon AHC560R review which should have sounded great given the name behind the product. Alas these were rendered pretty much useless with the inline microphone being a whopping 30cm away from my mouth. So what do you get for £20. Well everything is nicely presented steering far away from that finger bleed inducing “blister free packaging”. If green isn’t or you want to move away from the “Appleness” these are available in different colors. There’s also the hidden benefit of making it less obvious that you own an iPhone in, shall we say, less salubrious places. There’s no getting away from it that these look incredibly similar to the Apple offerings but the buds themselves are slightly larger. I found that they didn’t need to be pushed in as far as the Apple ones to stay nicely in place. After a few hours usage my ear lobes certainly appreciated the more relaxing / in place fitting. I never found myself wanting to take them out just to get a break and give my ears some relaxation. 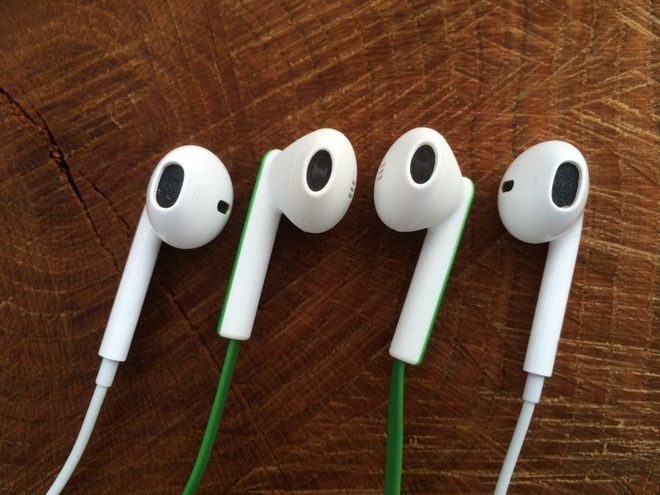 Obviously not everyone has the same size ears but if you find Apple’s offerings needing to be wedged in to stay put then these are going to suite you. I can’t say I was unhappy with the sound quality nor was I particularly blown away but that’s not necessarily a bad thing. Being less bass heavy than Apple’s offering postponed listening fatigue leaving able to listen to the deluge of podcasts which have built up since MacWorld. Yes Listening Fatigue is actually a real thing. Normally when bass is removed you end up with high end shrill or “tissing” at the top of the frequency range, thankfully this was absent. A sign that some thought has been put into what drivers are being used for these headphones. At the start of the test everything sounded close and muddle with very little separation between the mid’s and higher ranges. Bass levels were flat in comparison to the obvious competitor yet sounds were smooth across the board eventually. My best guess is that a bedding in period was needed and after a few hours music and podcasts came across nicely separated to my non-audiophile ears. Onto some microphone testing albeit somewhat unscientific testing which was me calling friends, asking “Do I sound any different”. Pretty much everyone I called said there was much less noise heard from there end whilst talking to them whilst driving. The results were the same with the, even more unscientific, cat purring test. Smug cat could happily pur away on me whilst on the phone and the other end was none the wiser. Normally people would be able to hear this. Another positive was the lack of any scratching sounds that happens when your headphone cable rubs against your clothing. This was pretty much absence due to the flat cable which in turn has another advantage of being significantly more tangle free than the traditional cable. 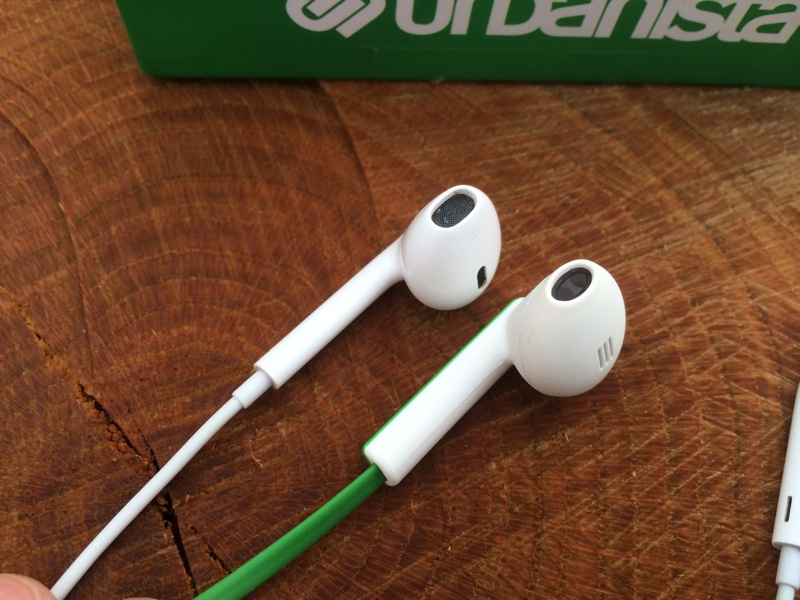 If you don’t mind the trade-off between having no volume control versus better noise cancellation, tangle(ish) free cable and something that looks a little more stylish than its main competitor coupled with a general feel of being more hard-wearing these Urbanista give rivals in this price bracket some serious competition. Although my voice call testing was somewhat unscientific the noise cancelling properties really stood out beating the Apple’s hands down. With a flat cable for less noise intrusion when speaking and coming in at £20 put these on your serious consideration for Apple headphone alternatives. 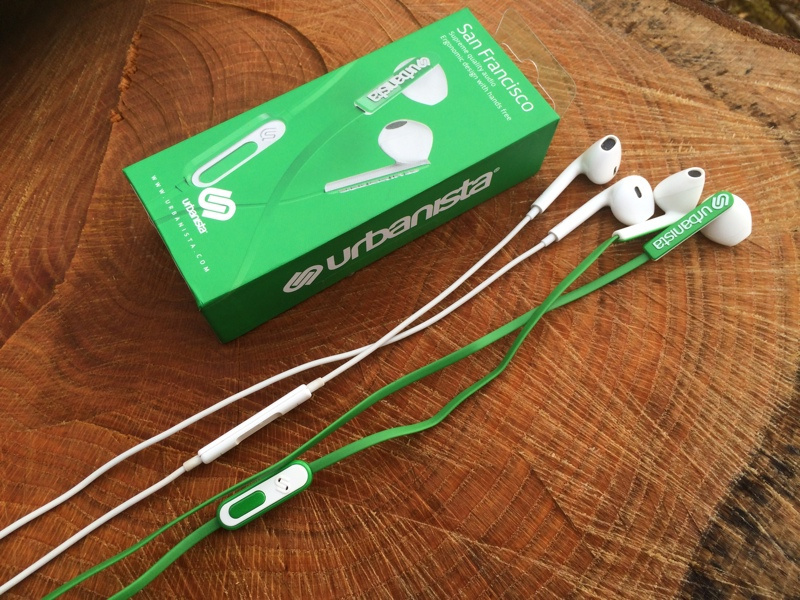 You can purchase the Urbanista Francisco Headphones in Red, Black or White from Amazon. Prices have since plummeted from the when this review was first published.